Pastoral Development Officer, WA – Yungngora Assoc. Assistant Manajger, WA – Heytesbury Cattle Co. 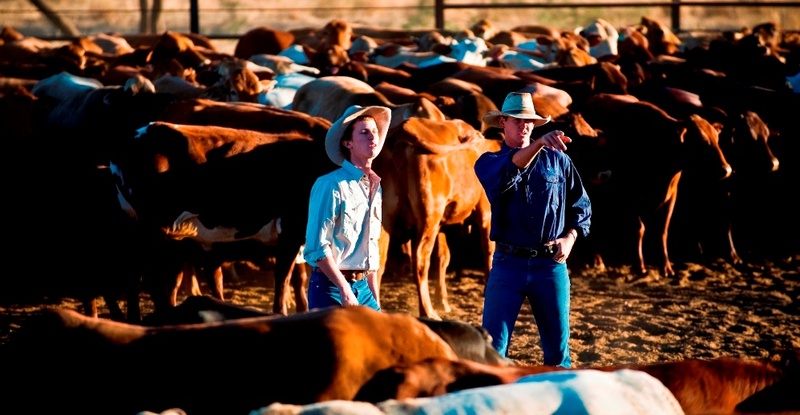 HIRING the best people for any business in the meat and livestock industry is never easy, particularly when there is a small pool to choose from with the particular skills needed. However, some agribusinesses seem to attract quality over and over, and your business can too, with some proven tools and a solid game-plan. With a dwindling labour pool in many regional and rural areas of Australia over the past 20 years, hiring today has changed. Gone are the days of receiving hundreds or even dozen of qualified resumes for jobs postings. It is fast becoming an employees’ market in many areas, and that means fewer applicants who demand better employment offers. Here are five tips to making great appointments when the candidate pool is looking thin. Is it to keep pace with business growth, or is it because of employee turnover? Growth is a good problem to have, while turnover means you should be doing better at retention. Your number one recruitment strategy should be making it a point to keep good employees. Retention of your best employees is a key to avoiding bad hires. Worse than losing good people is replacing them with unqualified, new employees lacking capability, who may be the ‘best’ you can find. Instead of forcing employees to change jobs to get a raise or promotion, entice your best people to stay the same way you would a new hire to join the team. Do you provide a workplace where people want to work? People, especially the top candidates, want to be immersed in a great culture. They want to be impressed, enticed, and appreciated. While you certainly don’t want to over-sell your business – regardless of its size – you do want to be seen as a place where existing employees are content to stay, and enjoy their work. Can you offer more open communication, better-functioning teams, more flexible hours, paid time off, relocation packages, or other inducements to get and keep the best people? Also, how you go about hiring says a lot about your business’s culture. That applies equally to a small family-scale cattle grazing business with a single employee, as it does to a large commercial feedyard with a staff of 30. It is important that you have the right people conducting interviews, and that they know how to interview. Employers these days have to be even more creative in expanding their search for talent. Posting on online job boards like Jobs Central is a good start, but often the best people already have jobs and may or may not be actively looking for new opportunities. These days you may have to physical go find the right people, even if they aren’t looking for you – sometimes called ‘head-hunting.’ Networks, social media, trade groups, professional associations, even existing employees can provide leads to great people you may be able to recruit. Would you respond to a boring, poorly written job description? Spend some quality time on your job descriptions and public postings. In today’s world we all admit to being time-poor and simply copying and pasting old job advertisements. Many job postings are weak, not well thought-out, and tell applicants nothing about the business they’d be working for. A stand-out job advertisement has well-crafted job descriptions, company introductions, and honest expectations. It is also vital to keep them short – less than one page. Great people are not going to wait around for you. Nothing is more perishable than a hot hire. The traditional hiring process is often an abyss where applications disappear and are never heard from again. That’s not going to work well for employers in an employees’ market. Candidates aren’t being courted if they can‘t find out what’s going on with the hiring process, or if it takes forever to go through that process—they’re being ignored. If they fit the criteria and culture and you don’t have capacity to have them start straight away – invite the candidate to company days or spend day in office to get a vibe. If they are keen they will wait – finally the employer is back in control.